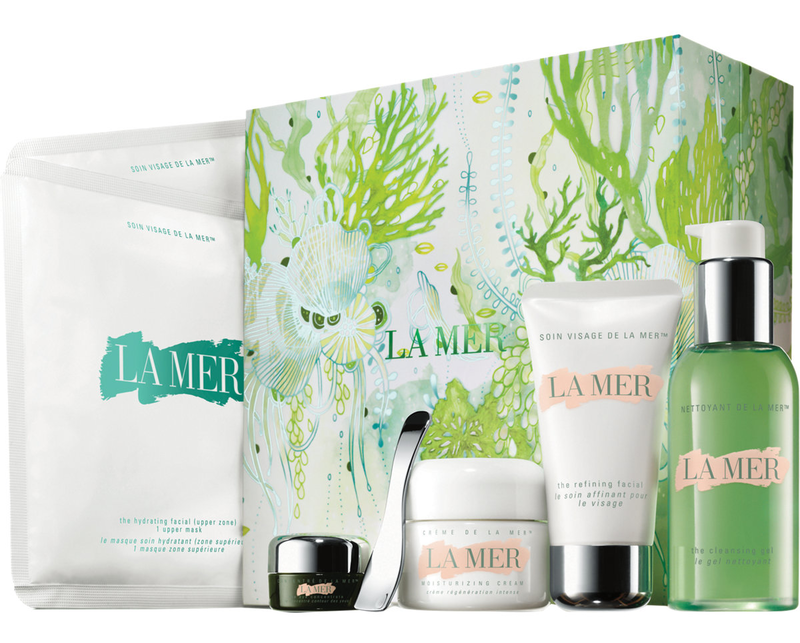 The 2013 Crème de la Mer limited edition holiday gift guide. 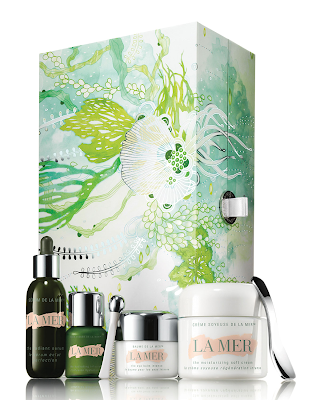 As soothing as a day at the spa, this collection pampers, hydrates and rejuvenates the skin. Travel sizes of our most nurturing products work together so skin looks smoother, firmer and more youthful. $265.00. The Eye Concentrate .17 oz. 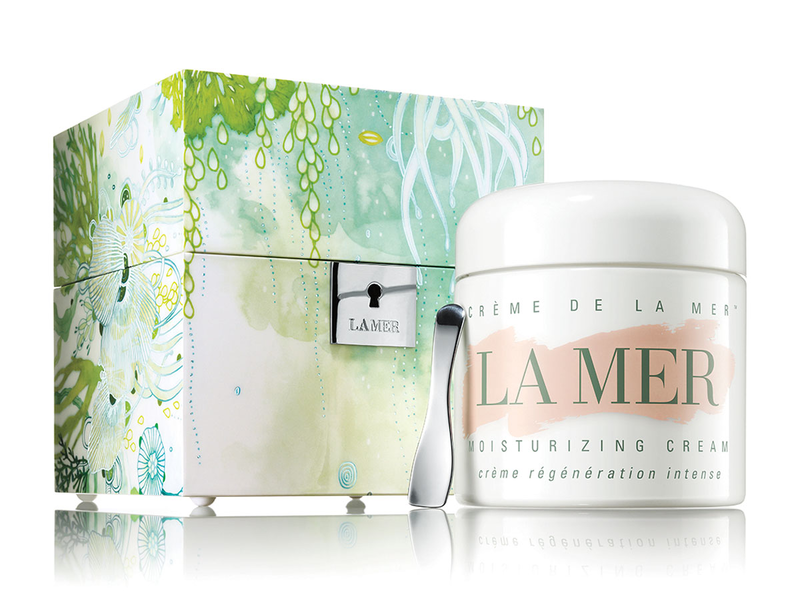 Crème de La Mer 1 oz. The Refining Facial 1.7 oz. This limited-edition collection dramatically revives and renews the delicate eye area with the power of the sea. Three of our most effective products work together to infuse skin with moisture so fine lines and wrinkles are smoothed, dark circles diminished. Skin appears lifted, visibly rested and renewed. $315.00. The Lifting Intensifier .5 oz. A complete and anti-aging regimen that instantly renews, rejuvenates and revitalizes. Skin is immersed in moisture, sensitivities appear soothed, radiance restored. $500.00. The Lifting Intensifier .1 oz. 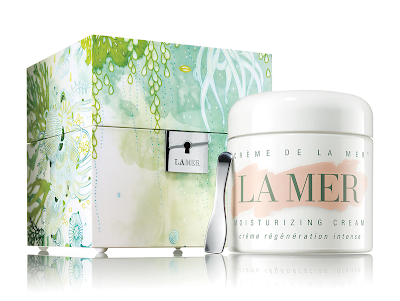 The original Crème de la Mer, born from the sea, in an ultra-luxurious size. With the legendary healing power of the Miracle Broth, skin is immersed in moisture, sensitivities appear soothed, radiance restored. $1,900.00. Limited Edition The Definitive Crème, 17 oz. Revealing a more refined and luminous complexion, travel sizes of each treatment work together so skin looks brighter, more even and translucent - utterly radiant. $500.00. The Eye Balm Intense .5 oz. Shop more gifts from La Mer.